We hope you’ll join us for the exhibition reception on Tuesday 07 May from 6:00-9:00pm. The exhibition is on view Monday 06 May and Tuesday 07 May, 2019. All events take place in the College of Fine Arts Building. Event curated by faculty members Sarah Rafson and Akhil Badjatia. 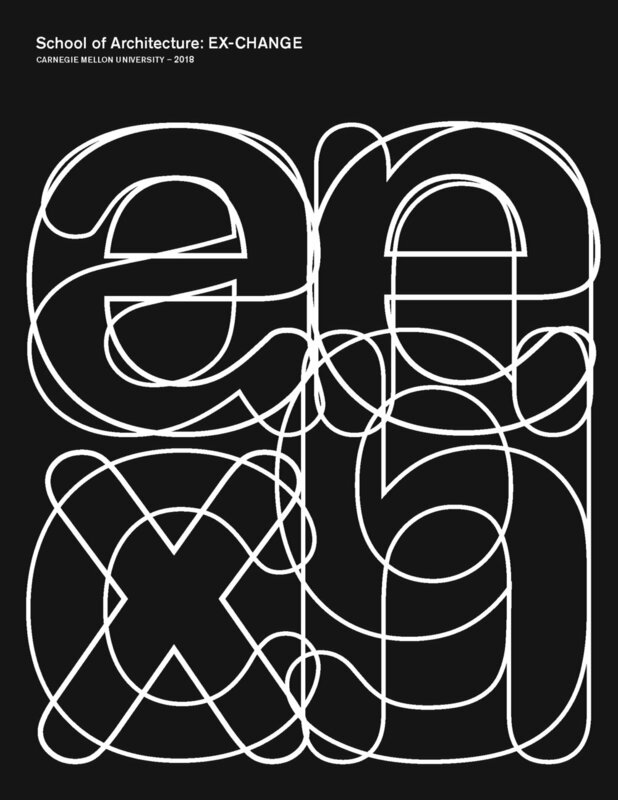 EX-CHANGE is a publication celebrating the work of the SoA from 1st year to PhD. Inaugurated in 2017, EX-CHANGE represents an ongoing opportunity to shine new light on the SoA studio-based and MS/PhD programs and to position the work within larger questions of research and practice. This booklet is a compendium of thought, work, and discussion generated by EX-CHANGE. It includes student work from the studios, research labs, and centers alongside excerpts from the moderated conversation between students and critics based on questions generated by studios. View the 2018 edition of the EX-CHANGE publication below, or reach out to the SoA to request a printed copy.